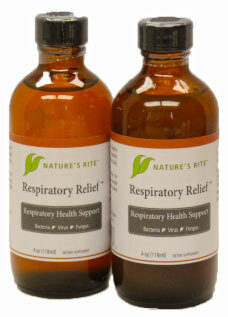 Respiratory Relief™ is a proven natural solution that works right where the problem is. Respiratory Relief™ can be used for short periods of time to quell acute respiratory distress or for long-term to handle occasionally recurring respiratory distress. When nebulized and breathed deep into the lungs, it will stop most respiratory distress in only a few days. Care must be taken only in being sure NOT to use a vaporizer. The solution must be nebulized into small droplets for it to be effective. This technique of ingesting Respiratory Relief™ has been shown effective in clinical studies and has been used for years in the clinical environment. Stay energized with Respiratory Relief™. We’re so confidant you’ll love it. Respiratory Relief™ is comfortable to breathe and presents no side-effects or drug interactions. A Nebulizer is needed with this product for effective relief. I had an upper respiratory issues. After using the Respiratory Relief™ with my nebulizer I began to feel like my old self again after just 2 treatments. I used it 3 times daily for a week. Thank you Nature’s Rite.